What Drinks Can You Make With Baileys Irish Cream? Sweet, creamy and dessert-like, warmly comforting even over ice and rich enough to savor in small-yet-satisfying doses, Baileys Irish Cream is a drink unlike any other. 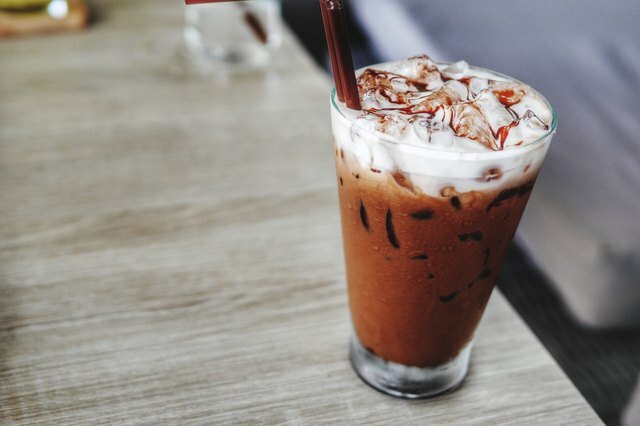 The concoction of Irish whisky and fresh cream sweetened with sugar and cocoa is the world's top-selling liqueur (because who doesn't love those four ingredients? ), and, while it's delightful sipped as-is, part of this popularity must be due to Baileys' versatility. 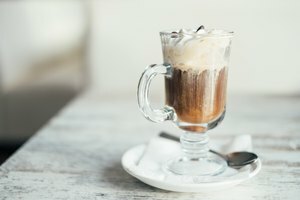 It finds its way into creative cocktails, sweet treats like milkshakes and warm drinks such as Irish coffees and heady hot chocolates. Yes, this marvelous beverage transcends seasons, occasions and times of day in a way no other whisky drink can. One more nod to Baileys' brilliance – the brand makes a Baileys Almande version with almond milk, so you can enjoy the creamy, boozy treat even if you've sworn off dairy. The B-52 is a baby step beyond sipping Baileys neat or over ice, a layered cocktail assembled in a shot glass where it should impressively maintain three distinct levels of color. You don't need any special mixology skill, but a steady hand is helpful in pouring equal amounts of the three components – Kahlua, Baileys and Grand Marnier – in that exact order, into a shot glass. You can substitute another coffee liqueur for the Kahlua and any orange liqueur for the Grand Marnier. To make a Baileys milkshake, you add a shot of Baileys to a homemade milkshake, simple as that. Blend ice cream, milk and Baileys together, find a sunny spot and sip slowly with a straw. Flavors of ice cream that pair nicely with Baileys, other than the standard chocolate and vanilla, include strawberry, salted caramel, pistachio and mint chocolate chip. Make it dairy-free by substituting soy or coconut ice cream or frozen bananas and your favorite nut milk, along with Baileys Almande. 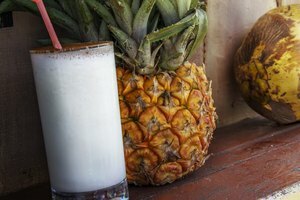 The popular mudslide cocktail has origins in the Cayman Islands, which might explain the tropical island vibes you get while sipping the cool concoction. Shake together Kahula or another coffee liqueur with vodka and Baileys, and serve it in a rocks glass over plenty of ice. Or, blend it with the ice for a frozen version. Put your own twist on the mudslide with flavored vodkas, perhaps vanilla, coconut or caramel. Most coffee drinks can be nicely doctored-up with a shot of Baileys, an ideal after-dinner drink or cozy pick-me-up on a cold evening. A Baileys Irish coffee ups the ante with an extra dose of Irish whiskey along with Baileys and strong, hot coffee. The mellowing effects of the Baileys balance out the caffeine boost of the coffee, but if you're enjoying the hot drink late in the day you might opt for decaf. Again, go for Baileys Almande and nut milks for dairy-free versions. 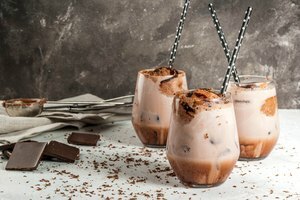 When you want the classy cocktail vibe of a martini but your inner child is calling out for chocolate, it's time to sip on a chocolatini made with Bailey's, vodka and chocolate liqueur. Shake that happy trio together with ice, and absolutely reach for a martini glass to keep this sweet tipple firmly in sophisticated territory. Another sweet version of a martini that incorporates Baileys is the caramel apple martini, which tastes like a fall day while safely veering away from the pumpkin spice cliche. This caramel apple martini recipe calls for apple schnapps and butterscotch schnapps along with heavy cream or half and half, but you can lighten it up with skim milk or nut milk. Take a minute to rim your martini glass with cinnamon sugar for the full fall effect. It's shocking that something as sweet as Baileys could be part of such a disturbingly named drink, but embrace the dark humor of the Irish car bomb and bring together Ireland's trinity of boozy exports – Baileys, Guinness and Irish whiskey. Take a half-pint of Guinness and a shot glass filled with equal parts Baileys and Irish whiskey, such as Jameson or Bushmills. Drop (without pouring) the shot glass into the stout, and drink a toast to St. Patrick. It takes a little skill to assemble the ingredients for a grasshopper – Baileys, mint liqueur and milk – so that they only slightly mingle in a martini glass and create an impressive ombre effect. The grasshopper recipe used at the tony Fairmont Tremblant ski resort in Quebec tells you to pour the mint liqueur into the bottom of a glass, shake the Baileys and milk with ice, then gently cascade the latter into the glass over the back of a spoon. The coolness of the mint plus the creaminess of the Baileys combine for apres-ski-inspired perfection.